The Highland® portable precision balance offers advanced features in a compact, durable balance that stacks for easy storage. 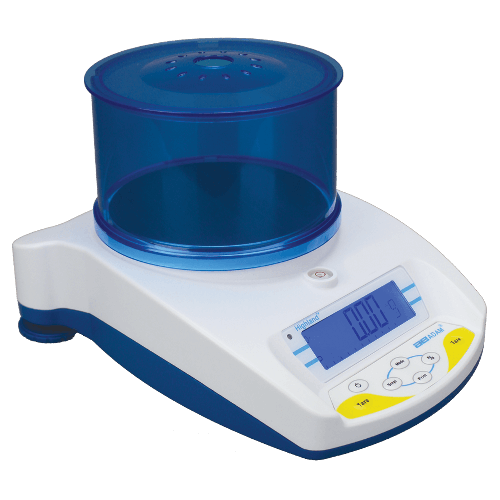 Featuring multiple weighing applications including parts counting, percent weighing and accumulation, the Highland provides fast, accurate weighing in a number of different environments – from science research in the laboratory or field, to manufacturing operations. Sturdy ABS construction allows the Highland to stand up to demanding lab use, while Highland’s ShockProtect® offers advanced overload protection to keep the balance safe. HandiCal® facilitates internal calibration without the need for external weights. For more information on the Highland series of portable precision balances, please contact us.